This is the revised version of my earlier post about getting our books back in iTunes on Mavericks. After a year of work, Apple releases their latest version of OS X, yet they did not fix their greatest disaster in OS X since Mavericks: iBooks app for Mac. I like iBooks in my iPhone and iPad, so I was expecting something better and more powerful for the desktop version. I was so wrong. When we first run iBooks, it will show a welcome screen where we can “Get Started” using iBooks. What will actually happen is… iBooks will *move* our book library from iTunes to iBooks. The next time we open iTunes, our books are no longer there. To make things worse, iBooks unzipped the EPUB files into folders. In case you didn’t know, EPUB format is actually a compressed file that contains structures of files and folders inside. Storing those books in uncompressed format means: it takes more space. To make things even worse, we can no longer edit any of our books’ metadata in iBooks library. So we can’t edit the book title, author, or any other information. This will not be a problem if ALL our books are purchased from Apple iBookstore. But who does that? I bet most people have their own ebooks either in EPUB or PDF format in their iTunes library. I created some of my own EPUB files (converted them from other formats). So I absolutely need the ability to edit ebook metadata in my iTunes library (or now iBooks library). And I can’t believe they actually removed a feature that was previously available and doing just fine ! Now, after getting frustrated with how bad library management in iBooks, I just realized that my original EPUB files are gone. Yep, after iBooks “converted” the books into its internal library, it DELETED my original EPUB files. Luckily I still have a backup of those files. To be fair, the reading feature itself works fine. I can read by ebooks and it looks good in my desktop screen. But other third party apps already gave me this capability. What I need is a flexible and powerful way to manage my books library, including metadata editing AND the ability to prevent iBooks from automatically manage my ebook files. Disclaimer: This guide assumes that you still have backup files for books that are NOT purchased from iBookStore. Do a Time Machine backup before starting. As usual, I am not responsible for any problem from using this guide, use it at your own risk. 2. Use AppCleaner to remove iBooks app completely. Don’t forget to clean the trash. 3. Restart the computer again. 4. Open iTunes, Books menu should appear again there, along with our books. Again, these steps above would only work if you have done my steps from my other post to remove iBooks in Mavericks and have never opened iBooks app in Yosemite. If things go wrong, you can always use the backup from Time Machine. 1. Open System Preferences > Users & Groups > Login Items and make sure there is no iTunes there. If iTunes is listed there, remove it by using the minus button. You might need to enter your Mac login password. Be careful not to remove different items. 2. Restart your computer and do NOT open iTunes or iBooks. 4. Use AppCleaner to remove iBooks app completely. Don’t forget to clean the trash. 5. Restart the computer again and open iTunes. Your books should return to iTunes now. 6. Delete the ebook files from ~/Library/Containers/com.apple.BKAgentService/Data/Documents/iBooks/Books so iTunes library will detect them as missing. If you can’t see this folder, you might need to set your Mac to display hidden files and folder (just Google some guides on how to do this). 7. Re-download books that we purchased from iBookstore. Or alternatively if we have those books in our iPhone or iPad, we can just sync them with iTunes and choose to transfer those books. 8. For books from any other source, right click for each book in iTunes, choose Get Info and it will ask the location of the file. Point the location to the ebook file that we have restored. Yes it’s probably a long and tiring process especially if we have plenty of books. 9. An alternative to step 8 is to delete all the books (that are not purchased from iBookStore) from iTunes library and re-import them from the files. All the metadata we created before should remain unchanged. Credits to Jeff for the Terminal command. Let me know if the steps work for you. edit 1 Dec 2014: I just realized that after installing OSX 10.10.1 update, iBooks have returned and my books were gone again from iTunes. I simply removed iBooks using AppCleaner, restart the computer and all my books are restored back to iTunes (I have never opened iBooks app for Mac at all). So, I think it’s safe to assume that we will have to do this for every future updates. edit 11 Dec 2014: Today I rearranged some points to make them clearer, plus adding information about hidden library folder. edit 28 Mar 2015: I received mixed feedback on using this guide for 10.10.2. Some indicated that this guide works fine for 10.10.2 while some others experienced issues. All my Macs use 10.10.2 today with iBooks app removed and all my books have returned to iTunes. However, I did not need to do the steps above on 10.10.2 (since I already did that in the first release of Yosemite). edit 9 Apr 2015: I updated to 10.10.3 today. As usual, iBooks app returned. I simple deleted the app using AppCleaner. Note that I do not open the iBooks app at all. Then I restarted my computer and all my books returned to iTunes library. edit 1 Jul 2015: I updated to 10.10.4 and iTunes 12.2 today. Without opening iBooks app, I quickly removed it using AppCleaner and my books are still safe in iTunes. edit 15 Aug 2015: Updating to OS X 10.10.5 will automatically remove our books from iTunes, even we have not open iBooks app at all. This can still be solved by removing iBooks app using AppCleaner. The latest version of AppCleaner (version 2.3) classifies iBooks as “default app”, so it will put a lock to prevent us from removing the app. To fix this, go to AppCleaner’s Preferences and uncheck the option to “Protect default apps”. You should be able to remove iBooks app now. Optionally you might want to reactivate that option to prevent deletion of other default apps. If you have not opened iBooks app at all since installing 10.10.5, your books should returns to iTunes without any problem. edit 27 Nov 2015: For OS X 10.11 El Capitan users, please read this post. Hello everybody. Here’s my problem. Two days ago I tried to log in iTunes to check any purchases done by my nephews and it was absolutely impossible. I asked por help to apple support and after trying different things such as change the password of my apple-id, reinstall iTunes and others, finally the option was to reinstall El Capitan. I did it today and the problem was solved, I could log in iTunes and see my account, purchases, etc. Done this, I proceeded to remove iBooks app, as I always do with each update of iTunes or OS X, and surprise, after removing iBooks, here came the problem again: I cannot log in iTunes nor update the apps. Does anyone know something about this? Has anyone had iTunes think that iBooks was installed? I had installed 10.10.5 and removed iBooks so that everything was good.Books in iTunes and the physical books in my iTunes library. I had even added and deleted books using iTunes, right up until yesterday. Then today I went to remove a book from my iTunes library and iTunes tells me that my books have been moved and to use iBooks. Thing is that iBooks does not exist on my Mac and my books are still in my iTunes library, just not accessible from iTunes under books. However, I can add a book to the library and it shows up as a book that I can add to my devices. I went through the process Robert described as if iBooks was around, but it didn’t help. Any suggestions greatly appreciated. I tried re-installing 10.10.5 which re-installs iBooks. I then went through the steps again but iTunes still thinks the books are in iBooks. Problem solved. Or rather iTunes reverted back to what it was before this started. And what was the solution? I wish I could tell you. I went through the steps to re-install iBooks and remove iBooks twice. No change. I moved the iTunes Library.itl and iTunes Library.xml files and had iTunes rebuild them. No change, other than what you’d expect from a fresh library. I moved the two files back and things looked like they did before I moved them the first time. Still no books in iTunes. I went out for a few hours. iTunes was not running. I came back and started researching how to either reset and re-install iTunes or replace it with one or more other apps. Then I went to check something in iTunes and, miracle of miracles, the books section was back in iTunes and I can now manage my books within iTunes. I have no idea whether something was working in the background and finally clicked that iBooks was no longer on the machine or whether it was the threat of removing or replacing iTunes. Found what the problem was, or rather stumbled on it. I use Carbon Copy Cloner to backup my iMac and my wife’s iMac. I use a large external drive for both. While I had deleted iBooks.app from my machine, she still had it on her machine. Even though it wasn’t in my Applications folder, it was causing iTunes to think that it was around. Once I deleted the copy in my wife’s backup, iTunes went back to handling books. So if the steps above don’t work for you, ensure that you don’t have a copy of iBooks.app floating around somewhere. Robert, just wanted to thank you for this. It must be the 3rd or 4th time I’ve used it. Forgot that an upgrade to 10.10.5 would re-install iBooks. Since I had never opened iBooks, my library was still under iTunes which made the process very simple and painless. It works with El Capitan…. I have my books back !!!! While it works in El Capitan, I discovered that without the iBooks.app available, iTunes will no longer let me sign into the App Store for Apps, Music, etc. The sign-in dialog box refuses to appear, thus I can’t check my iTunes account, view purchased downloads, and such. Hello, Robert. Today I’ve installed a new update, 10.10.5 and here’s back iBooks. Grrrrrr. But this time I can’t remove iBooks with AppCleaner, it has just been protected so I cannot mark it to delete it. I cannot either use the command sudo rm -rf/Aplications/iBooks.app in Terminal. It says that “that’s an illegal option”. What can I do to have my ebooks back on iTunes? Please, help me. Hi Alicia, I have added new note in the article about removing iBooks app in 10.10.5. Uauuu, here are my books again! It worked fine, thank you very much, Robert. They are very important for me and I want them classified on my own way. Thanks Robert for the useful guide. Lifesaver. After cleaning out iBooks, I drag all the folders (i.e. “Dennis Anthony”, “Janice Coleson”, etc) into the iTunes window. Now, the epubs copy or import just fine into iTunes, including the metadata such as author and genre. But the pdfs didn’t copy over. Then I selected individual pdf files (i.e. “CPA – how it works.pdf”) and dragged them into iTunes. They copied over but there is no metadata. So I ended up having to edit the metadata for all the pdfs. I was wondering how I can save myself from this pain the next time Apple pushes out another update and bring iBooks back. If for some reason, I have to delete all the epubs and pdfs from iTunes and re-import them, is there a way to back up the pdfs with their metadata now so that I could restore the pdfs with all the metadata intact? Followed same procedures as i did before, and thank you so much for the tip. unfortunately this time did open iTunes before by mistake. Everything went ok and recovered all my ebooks but no way to get back ANY pdf although they are all sitting in the music/itunes/books folder with authors name and all… what can I do? I have the same issue as you have. You could create a new smart folder in Finder, then specify “Books” as the folder to search for files, and “pdfs” as the file type, and have all the individual pdf files listed in the Finder window. Then select all of them and drag them into the iTunes window. They will be imported into Books under the PDF tab. There is just one problem. The metadata are gone. I had to re-create the author and genre for all my pdf files. I have asked Robert if he knew how we could avoid this pain the next time iBooks get pushed down to us by Apple again. I have the same problem with pdf. I tried using smart folder. It works for some pdf’s but not all of them. I have no idea what the difference between pdf’s might be that could cause this. New update, 10.10.4 has arrived and again the dreaded iBooks returns. Simply removed with AppCleaner and my books are back in iTunes 12.2.2. Like Robert I have never opened the iBooks app in Yosemite and have removed iBooks on each upgrade just using AppCleaner! Maybe in OSX 10.11 iBooks might be half usable? great to know it still works for you. the iTunes version is 12.2.0 btw. But it did not work for me. I installed, removed iBooks and opened up iTunes, all my PDFs were gone. I could not re-add them from iTunes. Is there anything I can do now ? Thank you. Robert, first of all, thank you for the guide on how to remove this awful app. I’ve used it time and again! I noticed after the latest Yosemite update that the books were gone and ibooks was back (without the proper icon as you mentioned). I followed the steps, was able to remove ibooks (the ibooks app wouldn’t actually open), but iTunes doesn’t have the books back. My only options are music, tv shows, movies, audio books, podcasts, iTunes u, apps, tones, and internet radio. I am still able to see the books when I sync my iPad (Books appear under Settings when iPad is connected). Do you know what the issue may be? Thank you in advance. I don’t know what happened, but after restarting iTunes several times, the books popped back in! So far I can use these steps after every upgrade from 10.10 to 10.10.3 to remove iBooks again and again. I will update the page if at some point it stopped working and I need to figure out another way. Robert, I tried these steps, but my MacBook won’t let me remove iBooks (message indicates it is require for OS X). Moreover, now that I implemented the terminal command, I cannot open iBooks because it says it cannot communicate with its helper application. So, can you tell me how to “undo” the terminal command? Just upgraded to 10.10.3 and can’t remove iBooks with AppCleaner. iBooks doesn’t have the proper iBooks icon, just the default Apps icon, it also has a small padlock next to it in AppCleaner which probable explains why I can’t select it for removal. Thanks for sharing. In my case, after upgrading to 10.10.3, my iBooks app also didn’t have proper icon, but there was no padlock and I could easily drag it to AppCleaner and everything was done. I am on the latest Yosemite version, 10.10.(6?) and followed your directions with the sudo mv command, however it did not fix the problem, and now I cannot use iBooks at all as it will not open. How do I resolve this issue I’m stuck with now? When I sync my iPad to iTunes it removes most of my books and I can’t work out why, some stay and are sent from my iPad to the Mac, but most of what I had on my iPad is gone, and I cant even open iBooks to see what’s in there. Is it possible to undo this? And the heading of this article does specifically say that it’s for Yosemite… so this problem is on you Robert. This guide was initially created for 10.10.0 (the first public release of Yosemite) and was tested personally that it worked. When 10.10.1 update was released, iBooks was returned and I have added a small note in the article. For 10.10.2, I don’t have personal experience with it, but some commenters have indicated that it still worked for 10.10.2. From what you told me, it seems that your iBooks app is not completely removed, yet the books have not returned to iTunes. As long as iBooks app (and all its files) are completely removed, the “Books” section should return to iTunes. Question, has the “Books” section returned to iTunes (regardless of the book content)? If the section returned, some library re-adding might be necessary, point 7-9 from the guide should be able to help. As I usually write in most of my guide, always have a backup before doing something that will affect our system. So I assume you have backup copy of your books. – I do not have the “Container” folder. Could this be because I had installed all the recent updates and followed your instructions previously? Thanks for any help and advice you can provide. Thank you SO MUCH for these instructions – used them both on Mavericks and Yosemite. 1. I added an .epub to iTunes and changed the title through cmd+i option (old title “Book Name” to new title “Book Name (Year)”). 2. I deleted this .epub from iTunes. 3. I re-added the same .epub back – the title of my book is back to the old one “Book Name” without the year I added. The only way I can truly update metadata is by going through Calibre app, which takes forever. Do you know what is causing this? Ah, I figured it out – user error, of course. I had iTunes set up to copy the files so iTunes folder, so all the changes were made to the duplicated files. Yes, Mountain Lion is safe from the iBooks disease; it is safe to upgrade iTunes, and the new tab layout (which I actually quite like) is an iTunes interface change. I stayed with ML precisely because of iBooks, but alas, my curiosity finally got the better of me, and for OS X 10.10.2 just released, I’m giving it another go. So I need to purge iBooks. If you need an iBooks-free OS X, ML is still supported until year end–and actually, having rolled back to it just before Yosemite came out of beta, is surprisingly refreshing if you have working hardware. Anyone feel free to copy and paste my request to speed it up. Thanks Rodrigo. I have posted my feedback to Apple months ago. I guess we do need more people suggesting the same thing for them to start listening. This worked for me, I had some books that were “lost” in iTunes. However, i wanted to go back to using iBooks, is there a way to reverse the terminal command? and books added to iBooks synced with iTunes? unfortunately this did not work for me. I tried this on a brand new iMac. Followed the instructions, finally was able to get rid of iBooks even though I had to use three programmes before mac would finally let me. The were no books (new mac) in the Container path file. Just wanted to let you know how utterly thankful I am for your instructions. It worked wonderfully. The only difficulty I had was finding the right library-folder. Searching in finder I got 2 library-folders. Neither had the containers-folder. Because my mac is set up in a different language, the library-folder was translated. Everything that comes behind ‘library’ is the same as in your instructions. Thank you for this great info and process. I am not a ’terminal’ user by any means, but I did find out that your sudo text could NOT be copied and pasted into the terminal, but must be actually typed out fully. When I did the C&P, I was asked for my password and the system would not accept it when it was entered. After re-typing the instruction, the system did accept the password and was successful. This process worked for my up until Step 6, when you suggest deleting the ebook files. There is NO location resembling your path listed in step 6 on my Yosemite iMac. There is NO ‘containers’ folder anywhere to be seen. Therefore, I cannot locate the files of any of the ebooks that are in iTunes in order to delete or move them. When i use “show in finder” from iTunes for any book, i can see the Finder path and folder contents. However, when I try to open any book from here in Calibre, it crosses over in an unreadable format that Calibre cannot convert or view. The abstract iBooks numeric pointer is also follows the book as the title and author in Calibre. NONE of the books in iTunes actually show in the ‘books’ folder in the iTunes file structure where the other library files live. When I try to re-download a book from the store (on the iMac), I’m only given the option of opening a previous purchase in iBooks. When going through my Store account, the ‘Purchased” tab does not show anything for books that were purchased through iBooks on any device i own. While syncing the iPad Air, one book was not allowed due to either non-availability or old formatting. I believe that it was error -48. Several books are now showing duplicates in the “On My Device” section of iTunes and on the iPad. I am in the process of moving ALL media files onto my WDMyCloud for media serving, and cannot get these book files OUT of the iTunes structure to save a file copy. Also, when a these books are “no longer available” through iBooks updates, they lose their cover images and there is not an option for ignoring the ‘update’ tag in iBooks on iPad or iPhone. Is there ANY way to get the actual files out of iTunes for my downloaded books? If I rebuild the HDD, will my downloads still be in iCloud and allow me to redownload the books to iTunes? 1. The reason why you can’t find the location is probably because I forgot to mention that Yosemite will not show hidden files and folders. You can Google tons of guides on how to show hidden files and folders. But anyway, thanks for your feedback. I have improved my guide to make it clearer. The point numbers changed because I rearranged some points. 2. For books downloaded from iBookStore, you can always re-download them in any Apple device with your Apple ID. If you have successfully removed iBooks app for Mac and redownloaded all the books in iTunes, then you can get the book files from ~/Users/YourName/Music/iTunes/Books. However, opening the books in non-Apple app might not be as simple as opening those files. 3. If you format your computer, you can still redownload books purchased from iBookStore that are still available. Books that are no longer available, in my experience, can’t be re-downloaded. This is generally why I don’t buy books from iBookStore unless I really don’t have any other source. Very aggravating. I actually use(d) my iphone more for reading than anything else, and I promise most of the PDF’s I want to read are not and may never be in any Apple store. Another blow to individual freedom/creativity. Thanks again! Your advice helped when Mavericks trashed my books and once again to restore Books in iTunes on Yosemite. Using iTunes to manage all my 1,000+ PDF files. iBooks is a real disappointment for anyone to manage a large collection of Books/PDF/ePUB. Thank You so much Robert. It works perfectly, and I have my books back, finally!!!! Yosemite iTunes12 syncing books between Yosemite iBooks and my iPad Air: occasionally, I must WIPE COMPLETELY my iPad Air, ignoring backups, to begin as new iPad Air, then MANUALLY move all apps, books, tunes,photos,etc. onto the iPad Air. Why? Because Syncing becomes broken after several syncs. No matter how many times I check books to be syncd, not all will sync. ONLY WIPING COMPLETELY and manually moving all data back clears the syncing issue. I did according to your instructions previously and everything well perfectly until today, when I tried to import a new PDF into iTunes to realise that, the new PDF was captured under Music and that my Books icon or option had gone missing. I do not have iBooks under Applications now and it seems impossible to restore it from Time Machine (to redo everything)…… Has anyone encountered the same ? Thank you. I did all the previous steps to remove iBook and move my books back to iTunes library. It seems all fine, I can see all books (Audiobooks, PDF, ePUB) except of one thing : I can see and organize ePUB files but can’t open them. Can I open them only on iPhone and iPad or I did something wrong? iTunes have excellent features to organize and manage our books, but iTunes can NOT open those books. iBooks for Mac have excellent feature to open those books, but it has very poor capability to organize and manage our books. That’s why most people reading this blog post (including myself) decided that we choose the ability to organize and manage our books in Mac and willing to sacrifice the ability to “open” those ebooks. Why? Because we can still open and read those books from iPhone and iPad, or we can still open ebooks in Mac using third party apps like Calibre. Perfect! Now I’m sure, that I did all my best! Thanks for explanation. I know that on Mavericks, there was not option to open ePub, but was sure that in iTunes 12 on Yosemite I can. What we do here is something against Apple’s wish. They want everyone to stop using iTunes for books and move on to the crappy iBooks for Mac. Surely they won’t add the capability to open EPUB in iTunes when they want people to move away. I followed these steps because I have had issues with books and pdf’s disappearing from my iPad after a sync. I am not sure if it is directly linked to the horrid iBooks app which I never use, but I thought this was a good opportunity to eject the iBooks app from my macbook. I am pleased to report that the process went amazingly well! I didn’t lose any of my books, I didn’t get asked by iTunes where they had gone and have to restore them! I don’t know how that worked but I followed all of your steps to uninstall iBooks and delete the books folder, I made a backup of it first, but after a restart, I opened iTunes and found that it now has a books button, I am now able to sort through all my books and pdf’s easily and clean out the duplicates. This is so much better and a far cleaner process than before. Will just have to wait and see if it has any effect on the mysterious disappearing books glitch, however I fear it may be because we have two iPads, and different pdf’s and epub files are downloaded onto each one as they are needed, often the same file from the same site, and then later we sync our iPads. They are usually signed into our two different iTunes accounts, and one of them is a US account and one is Australian. I believe that this may in fact be where the glitch is coming from. Thanks for your clear instructions. There is limited metadata editing in iBooks 1.1. (Yosemite) You can drag a new cover page image to non iTunes purchased books. In LIST view you can edit the most of the fields. Not great, but you know that Apple will eventually break this fix. I have gone through the process of removing ibooks both with Mavericks and now with Yosemite. However, the books now back in iTunes are put under different Tabs of My Pdfs and My Books (epubs mostly). This was not the case before as they were clubbed under a single tab. How to revert to the old way of showing books. Need this because files in the same collection and author are some in PDF and some in EPUB format. Since all my e-books are in EPUB format, I have no PDF in my library, therefore I don’t have issue with their separation. The separation into Books and PDFs might be something from iTunes 12 itself, I seemed to recall that it was already two tabs when I installed iTunes 12 in Mavericks (before upgrading to Yosemite). Would there be a different procedure regarding books if we’re still on Mountain Lion and are being forced to upgrade to iTunes 12? 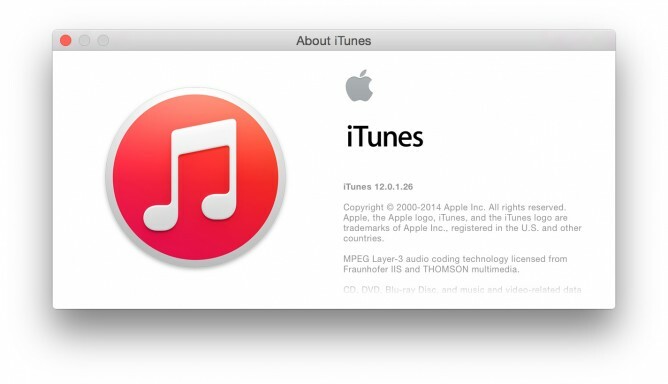 (Apparently iTunes 11.4 won’t talk to iOS devices running iOS 8.1 now.) I happiliy maintain my books in iTunes, and the iBooks app was one of the reasons I didn’t upgrade to Mavericks. Do you have any idea how iTunes 12 will handle the books if I’m still running OS X 10.8.5 and never even had an iBooks desktop app at all? Will it automatically include the books as if I had upgraded and followed the above procedure? I’m reticent to upgrade, because I have 1200+ books and this is going to be a giant, tedious pain in the arse. Sigh. Thanks! iBooks app installs with OS X Mavericks and Yosemite. As far as I know, updating to iTunes 12 will not install iBooks, therefore you will still able to manage your books via iTunes. However, this is just a guess. Proceed at your own risk. The book management in iTunes 12 is a bit different than iTunes 11. But all the features that I usually need are still there, with new look and new menu.